Want to give the gift of a faster swim leg for the triathlete in your life? Here are 5 gifts for triathletes that will help them dominate the swim part of the race. 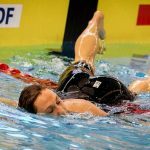 For most triathletes I talk to and work with it’s the swimming aspect of the race that they struggle with most. You see the frustration when they pick up a kick-board and expect their extraordinary leg fitness to carry over instantly into the water. Unless you are Andy Potts—who I trained with at Eastern Express when we were both little age groupers waayy back in the day—for most triathletes training for and excelling at the swim aspect of their race is struggle-city. 1. FINIS Tempo Trainer Pro. One of the best feelings you can achieve in the pool is awesome rhythm. It’s no different from when you are on the bike or running—once you hit that groove it feels like you can go forever. In the pool, however, finding and getting that rhythm is more challenging. We have a dominant side which we tend to breathe towards, giving us a slight hitch or gallop in our stroke. And then there are the constant walls and flip turns, which interrupt our attempts at finding and honing our stroke rhythm. Related: The Best Watches for Triathletes Reviewed and Tested. Check out our comprehensive buyer’s guide to the best watches for triathletes and multi-sport athletes. While the walls and flip turns are a part of swimming in the pool, a way to help you get into rhythm faster is with a FINIS Tempo Trainer Pro. This bad boy is essentially a metronome that you set, attach to your goggle strap, and go, matching your strokes with the beeping. Beyond helping you find stroke rhythm, you can set it so that you are trying to hit a specific number of strokes per length (which will encourage better efficiency and distance per stroke), and also use it as an interval timer. The FINIS Tempo Trainer Pro retails for around $40, and you can pick one up over at Amazon. 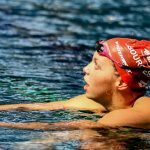 The swimming snorkel is one of the most powerful weapons that triathletes can use to improve their swim training. The list of benefits of training with one is long: you balance out your stroke by keeping your face straight down in the water. You avoid many of the technical deficiencies that come with breathing exclusively to one side (criss-crossing ankles, sliding hands on the entry, and more). And using a snorkel is also a surprising way to avoid trap and neck soreness that comes from putting in the miles going around the black line in the pool. That’s a metric ton of wins. 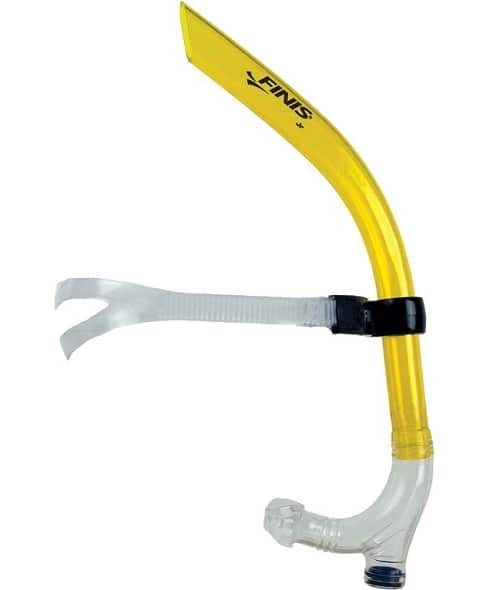 Nearly every swim company produces one nowadays, while FINIS and their snorkels have traditionally been the most popular of them all (they held the original patent for the front-mounted snorkel). The snorkel costs around $25-30, and are available in the classic yellow and a hot pink color as well. You can pick one up via Amazon by clicking here. Swimmer’s shoulder is no joke. And it certainly isn’t immune to competitive swimmers, either. 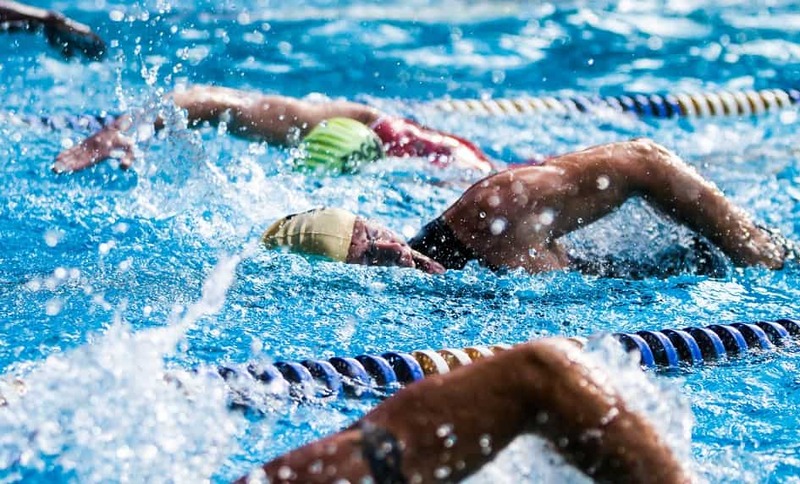 For the novice and intermediate triathlete, who is getting more and more serious about putting in the meters in the pool, it’s critical to make sure they are giving their shoulders the TLC they need to ward off injury. As someone who suffered from acute shoulder pain for the better part of my teenage years, I can attest to the agony and frustration that comes with this specific injury. 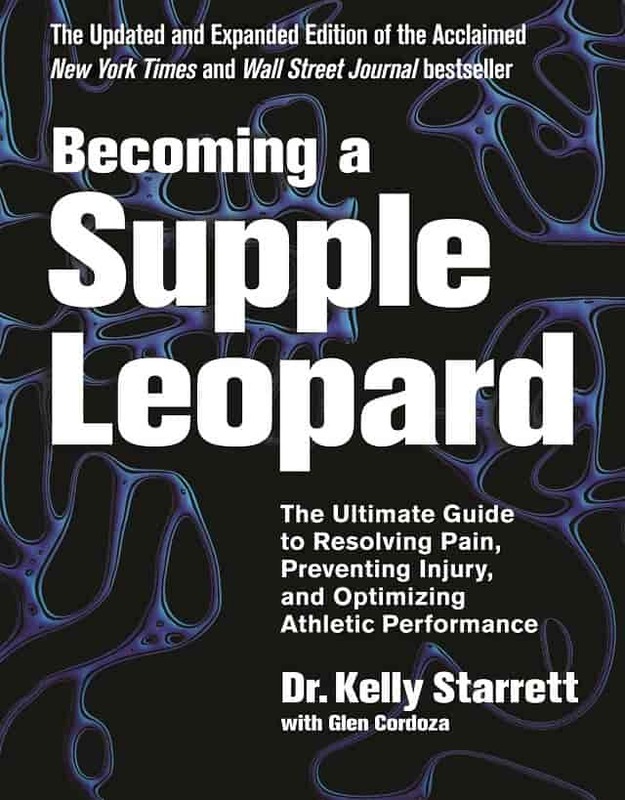 If only I had access to Dr. Kelly Starrett’s body maintenance bible, “Becoming a Supple Leopard” back then. 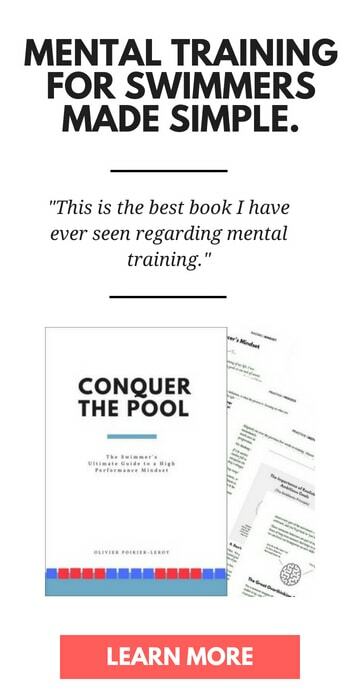 When I got back in the pool to get back into serious training in 2013, I knew that things were going to have to be done differently. I simply wasn’t interested in dealing with swimmer’s shoulder any longer. See Also: 7 Essential Pieces of Swim Gear for Triathletes. Our beginner’s guide to the essentials every triathlete needs to master the swim. By chance, I stumbled upon Dr. Starrett’s book, and outside of a few minor tweaks and lots of soreness, have been injury free, ramping up the meters to as much as 70,000m a week without any shoulder pain. The book is essentially a maintenance guide for your body. He outlines preventative and mobility exercises according to injury, body part, and even what kind of exercises you are working on improving (squats, for instance). I can’t say enough about this book, and it’s my go-to book gift for friends and family, whether they are athletes or not. High performance athletes should know their bodies and be proactive in staying healthy and injury-free. This book is your FAQ and repair guide all in one. The hardcover version of the book ranges around $50, but you can also purchase an eBook version that reads well on a tablet (I have both). You can pick up “Becoming a Supple Leopard” over at Amazon by clicking here. 4. Ankle band for a killer freestyle pull. One of the simplest, most old school, and challenging pieces of swim gear is the ankle band. All it is, is a piece of rubber that you lasso around your ankles to keep you from kicking. We all know that swimmer or triathlete who puts a pull buoy on and does a 4-beat kick. The ankle band ensures that you are doing straight pull. 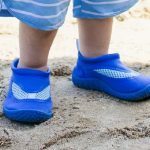 For triathletes who want to seriously level up their pulling power, ditch the pull buoy and just use the ankle band. Your feet, tied together, will almost immediately try to sink to the bottom of the pool. Swimming this way will force you to better balance yourself in the water. It will encourage you to move your center of gravity upwards in order to keep your hips somewhat high in the water. And most importantly, it will give your shoulders a serious power workout. For triathletes who have never trained with one of these I would highly recommend you ease into it, and make sure that you warm up your shoulders properly beforehand. Most local pools have a collection of them in their equipment bins. If there are none at the pool, you can get one of the ankle bands that FINIS produces. They cost just $5 a piece. 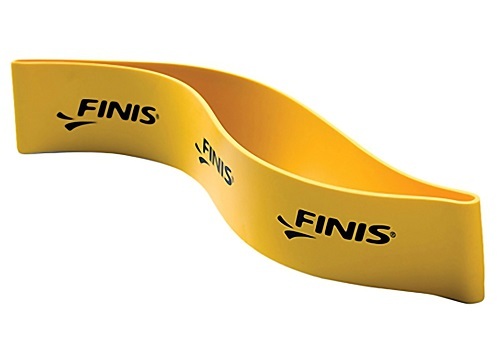 You can pick up a FINIS ankle band over at Amazon by clicking here. While we can’t race with tunes, having some music in our ears helps make those long training sessions go by a little bit easier. You know this from your dry land training. Fortunately, now we can cue up our favorite songs while in the water as well. And what’s the best underwater MP3 player for swimming? The FINIS Duo. Hands down. It’s got its share of hiccups, like any piece of electronics that gets submerged repeatedly in the water tend to do, but it is far and away the best product of its kind out on the market. There are two reasons this product kicks a ton of butts; first, it transmits the music straight through your cheekbone to your inner ear, bypassing the need for pesky earbuds which fall off anytime you push off too hard, or get moving too fast in the water. Secondly, the sound quality is much, much better than every other underwater MP3 player I have tried. With other devices water will get between your ear and the buds, creating a muffled, distorted sound that is frustrating. No one wants to stop every few stroke cycles in order to reconfigure the earbuds. 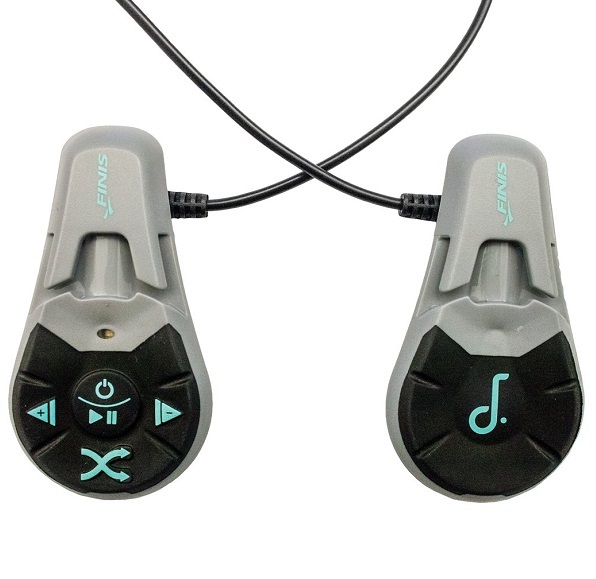 The FINIS Duo also bypasses this by shooting your hot, hot tunes straight down your cheek bone into your inner ear. 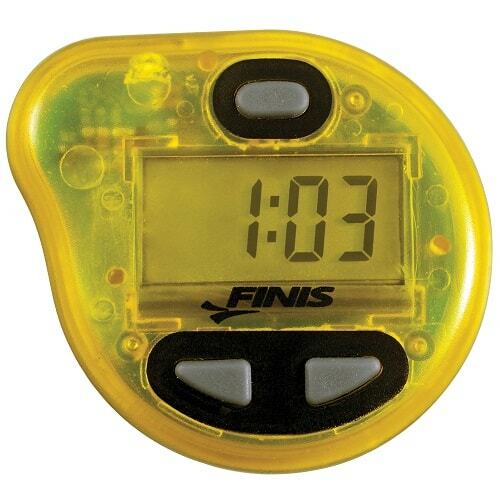 The FINIS Duo retails for around $130, and you can pick one up over at Amazon by clicking here. 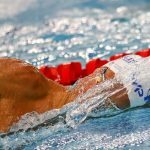 5 Essential Books for Competitive Swimmers. 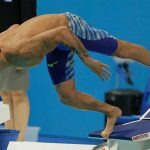 Whether it’s motivation or injury prevention, here’s a list of reads that every swimmer should have on their bookshelf. 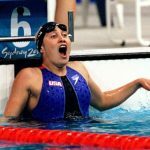 6 Gift Ideas for Competitive Swimmers. Looking for some sweet, sweet goodies for the swimmer in your life? Look no further than this gift guide for the chlorinated athlete on your shopping list. The 5 Best Goggles for Open Water Swimming and Tri. 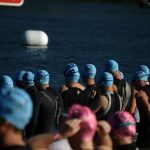 Ready to dominate your open water race? 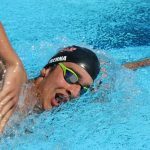 Here’s a breakdown of the best swim goggles for open water swimmers and triathletes.